If you love finding great deals on books but don't have a Kindle or a Nook, then you're in luck. 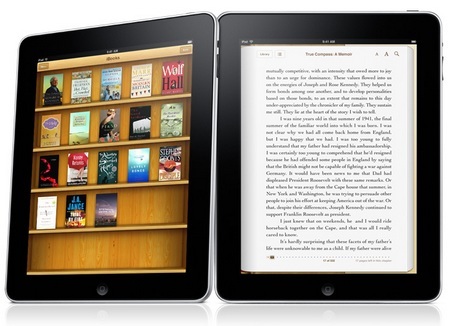 There are a few ways you can access thousands of $.99 ebooks without having to buy an e-reader. The best part is that Amazon, Barnes and Noble and Google have made it relatively easy for book lovers to completely bypass buying their devices (because not everyone wants to spend $70 and up on a device they're not sure they would even use). Although some may be averse to reading books on the computer, this is a great option for reading ebooks. Google's Internet browser, Chrome, offers apps that you can download for free and access directly from the browser. (Other browsers may also support ebook reading). Google Play Books and the Nook Reading App are two apps available on Chrome. These apps access e-books and allow you to read them directly in the browser. Readers only need an account with Barnes and Noble or Google to read books using the browser apps. An ereader is not required. For both apps, simply search the Chrome Web Store for the app and install it. Again, once you've downloaded a book, read it in Chrome. Readers can also access the Kindle Cloud Reader on their browser; it's a website that syncs with your Amazon account and showcases your ebook library. Because it is a website it works on every browser. You can start using it by visiting https://read.amazon.com/. Readers can "download" Kindle ebooks they've purchased and start reading instantly. The apps and the website are best for those who have multiple computers or laptops or who need access to books in various locations (like at work and at home). If you prefer using standalone programs on your computer, instead of relying on your Internet browser, both Kindle and Nook offer free software that you can download to read books on your computer. Once you have downloaded and installed the software on your computer you can start to browse e-books you have purchased and begin reading -- all without having an e-reader! This is best for those who use one main computer. Amazon, Barnes and Noble and Google offer apps for iPhones and Android devices. All of these apps access your account and allow for reading on the go. Again, the only thing required is that you buy the ebooks. Once they're purchased, you can "send" the e-books to your devices from your account or you can access the app and download it to your phone. This is best for those who are constantly traveling or on the go or who use their smartphone as their main source of Internet access. For those of you who want to see what ebooks are all about, the options listed above are great opportunities to find out more without breaking the bank. Have you used any of these methods to read ebooks? I'd love to hear your experiences reading ebooks!